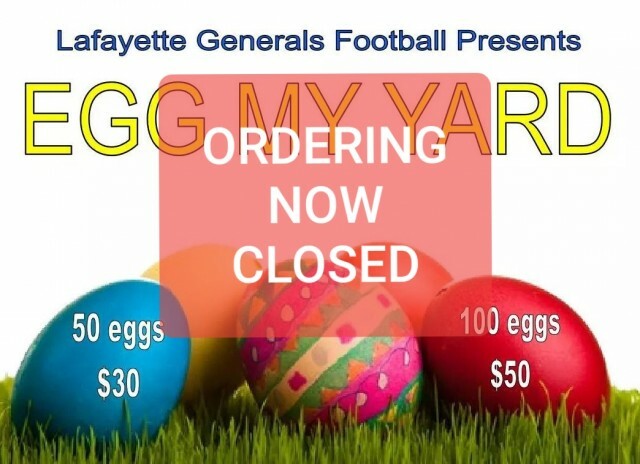 Updated Tuesday April 2, 2019 by Lafayette Generals Football . EGG MY YARD ORDERING IS NOW CLOSED! Thank you to everyone who placed an order. We greatly appreciate your support.